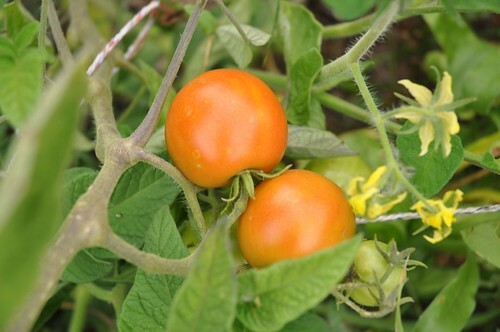 Tomatoes like a nice warm area in full sun, and need at least 8 hours of sunlight a day, or they get spindly and produce little mature fruit. They like soil that has a pH of 5.5 - 6.8, is fertile, deep, well-drained, and that is rich in organic matter. You want soil that will hold water as evenly as possible because uneven uptake of water can cause all kinds of problems with tomatoes including flower drop, fruit splitting and blossom-end rot.